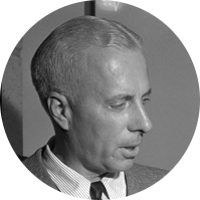 Howard Hawks was an American film director, producer, and screenwriter. Although he was only nominated once for an Academy Award (Sergeant York, 1942), critic Leonard Maltin is said to have called him “the greatest American director who is not a household name.” However, Howard Hawks did receive an Academy Honorary Award in 1974 for being “a master American filmmaker whose creative efforts hold a distinguished place in world cinema.” He currently has a star on Hollywood's Walk of Fame. Being a Hollywood legend himself, it seems only fitting that Howard Hawks would have some of Hollywood's most famous actors and actresses in his family tree. These include John Wayne, Lillian Gish, Anthony Perkins, and Shirley Temple. Ironically actor John Wayne appeared in five Howard Hawks films including what I consider his best Rio Bravo. While many genealogists look for connections to the victims of the Salem Witch Trials of 1692, Howard Hawks's connection is to the infamous chief judge and prosecutor William Stoughton. Another rather infamous kin of Howard Hawks is the American Revolution traitor Benedict Arnold. It has been widely publicized in books and online that Howard Hawks and Carol Lombard are 2nd cousins. Although I am somewhat skeptical of this claim, I have not yet researched Carol Lombard's ancestry to either prove or disprove the claim.